Learn about the rich culture and powerful nature of Hawaii. From scenic vistas to luau’s and unique island traditions, learn what’s behind the curtain that is the magic of Hawaii. Get up close with the spectacular and Hilo volcanos during your Princess Hawaiian cruise. It's the perfect opportunity to see the islands hottest feature. Explore Honolulu history and culture with Princess Cruises. Whether you're a World War II history buff or want to learn the hula, Honolulu has it all. Discover the gastronomic array of Hawaiian staple food during your next visit. Hawaiian food and ingredients have influences unlike anywhere else on Earth. Cruise with Princess and sample the finest Hawaiian dishes the islands have to offer. Hawaiian cuisine will both capture your heart and satisfy your taste buds. Discover Hawaii cruise tips and preparation advice to help make the most of your Pacific adventure. These articles will help make sure you’re ready for anything on your Hawaii cruise vacation. Feel the spirit of aloha on your next Hawaiian cruise — and give in to the pampering that you deserve with these five cruise tips. Experience Hawaii on a budget with this guide to frugality from Princess Cruises. Fun can still be cost-effective with these Hawaii vacation deals and tips. Find the best cruise ships to Hawaii. See what how Princess Cruises separates itself from the competitions when it comes to exploring the Hawaiian Islands. 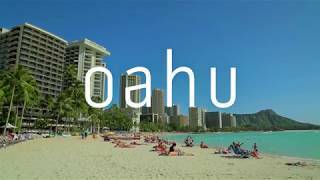 Compare Hawaii cruise vacations vs. land vacations. Princess Cruises can help you see why a Hawaiian cruise is the best way to see the islands. Read about top attractions on your Hawaii adventure. With an abundance of epic colors and unique experiences, these articles will help ensure that you don’t miss a thing. Plan your Hawaiian excursions. Princess cruise excursions are pure magic, offering luaus, beautiful beaches and glimpses into Hawaii's unique culture. Aloha! Embrace the culture of the islands by learning these Hawaiian words and sayings. They'll serve you well during your next Princess Hawaiian cruise. Discover our top 3 things to see in Honolulu. Princess Cruises can help you to decide what to see in Honolulu while you're on your Hawaiian cruise. Experience Maui sights and sounds with Princess Cruises. Maui has a wide array of activities for travelers to enjoy, including snorkeling and hiking. Discover the best Kauai hiking trails during your next Princess Cruise. Kauai hikes offer breathtaking views and unforgettable experiences. Explore inactive volcanoes in Hawaii during your Princess Cruise. Volcanic craters are beautiful hot spots for boating, swimming and much more. Discover Honolulu attractions on and off the beach with Princess Cruises. Explore all there is to do and see on shore excursions to beautiful Honolulu. Discover Hilo attractions worth exploring with Princess Cruises. What better way to get some rays than by heading ashore to Hilo, Hawaii during your cruise? See what amazing Kauai excursions await you on a Princess Cruise. Discover amazing tropical destinations like Waimea Canyon and Kilauea Point Lighthouse.